Set in 1962, A Single Man stars Colin Firth as a teacher grieving over the death of his partner and planning suicide to end his pain. The film follows an unhappy single day in the life of an unhappy single man. Abel Korzeniowski’s score beautifully complements the film and is supplemented by additional music from Shigeru Umebayashi. The source music included eclectically ranges from opera to Booker T & The MG’s. The soundtrack has was nominated for a 2010 Golden Globe Award. 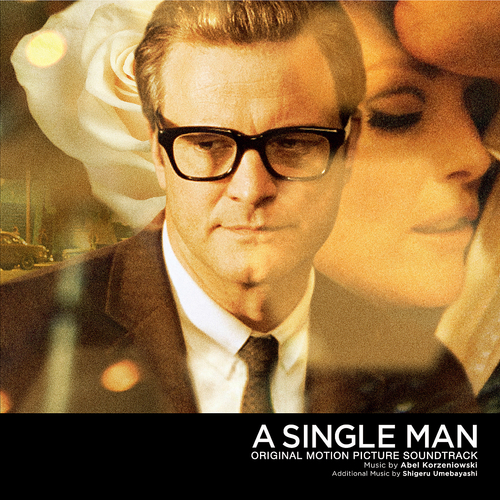 ”Korzeniowski’s new score for Tom Ford’s A Single Man is destined to become a film music classic. The Polish composer combines pulsing post-minimalism and elegant neo-romanticism with bright melodies, lush orchestration and warm colours (notably harp, piano and solo violin) to create a dazzling and dramatic score of extraordinary power and beauty”.